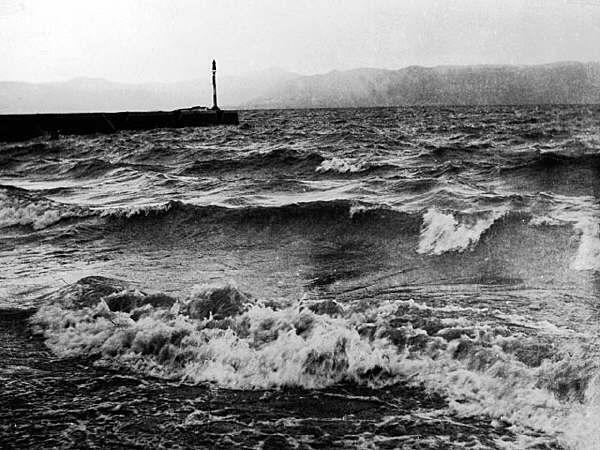 The Lake Chapala at its maximum water level was amazing. 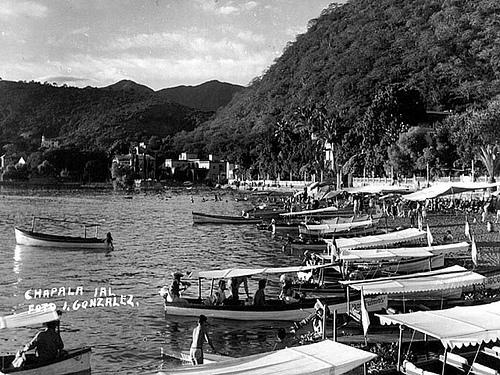 In its origins or Chapala Chapallan was a prehistoric settlement dating back more remote is found in the twelfth century, when migration of a tribe of Nahuatl origin from the northwest of the country, played these latitudes, finding the north shore of the lake highly populated as concerns Fray Antonio Tello, a Franciscan friar and chronicler. On Calle Madero is the Hotel Nido, Chapala's oldest and most central hotel. It served good meals at reasonable prices, including a traditional four-course Mexican midday meal. 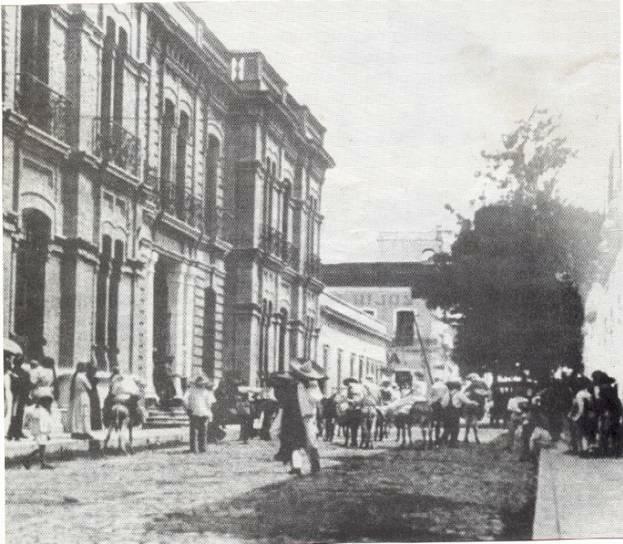 Today it is the government palace. 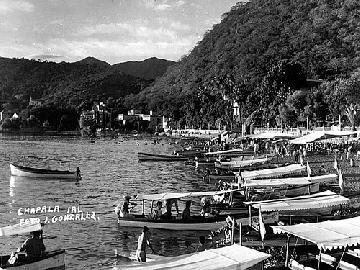 Father Miguel de Bolonio who converted the Talticas Indians to Christianity founded Chapala in 1538. Their chief was Chapalah, from which the name Chapala came. 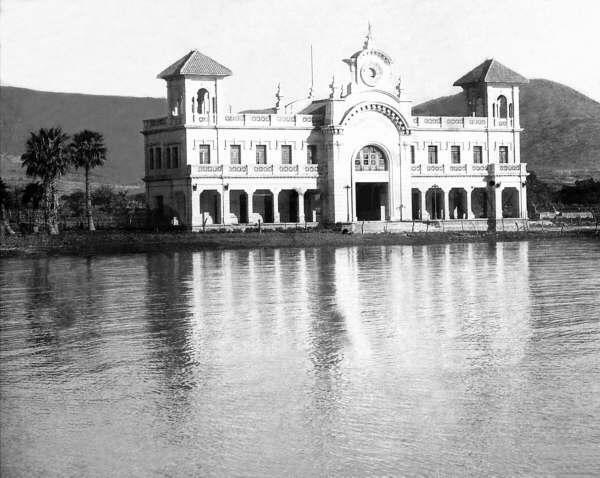 The Old Train Station Built in 1920, it now houses the recently opened Jesús González Gallo Cultural Center, which holds important cultural events in Lake Chapala Mexico. 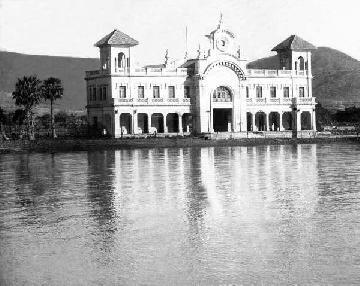 The building of the former railway station in addition to being considered the bulwark of the city, represents the departure of the Great Time of Chapala Riviera. 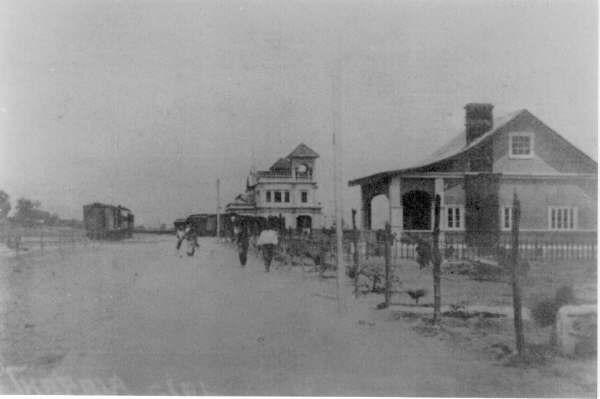 With the introduction of the railway, provided better alternatives for the economic development of the population and to conduct a "walk for pleasure and not sacrifice," as the train was more comfortable than the trip to pass or horse or mule of the first steps to take up to 12 hours, or the first bus "Wichita" hard tires and covering the distance in 5 hours that the train did it in just 3 hours. 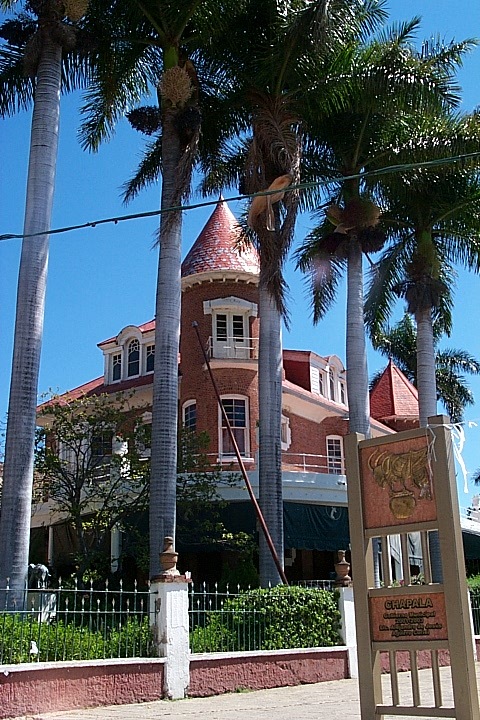 This impressive, Victorian style construction was built in 1906 and currently serves as the Cazadores restaurant. 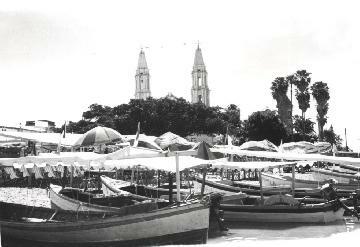 These European-style estates built between the years 1878 and 1920 took place toward the east and west of the Parish of St. Francis of Assisi on the shore and on the street leading to the pier contrasting architecture with the landscape: in front of the Prime Hotel, the "Arzapalo" (covered by the Mirador Restaurant Beer Garden), Casa Braniff (now Restaurant Cazadores), the architect Luis Barragán House (south side of the supermarket on Avenue Madero), Palmera Hotel (now Hotel nest) and Nice Hotel (now Bank Bital) both on Avenue Madero. 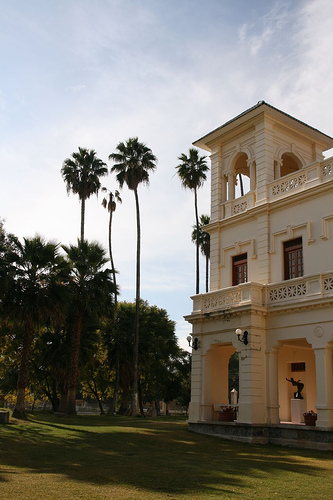 On Hidalgo Street are beutiful Villas: Villa Josefina, Nice Villa, Villa Tlalocan, Villa Ferrara, Villa San José, Villa Adriana and Villa Montecarlo (now Hotel). 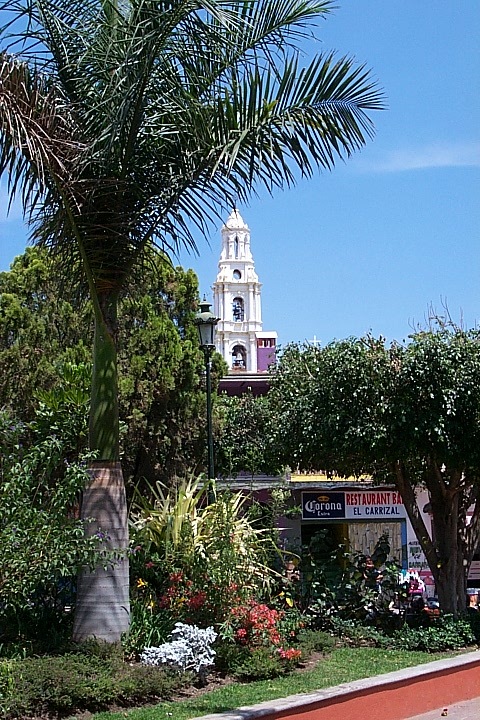 At the southern end of the street are located Aquiles Serdán My Pulm, Villa Aurora, Villa Ave Maria. 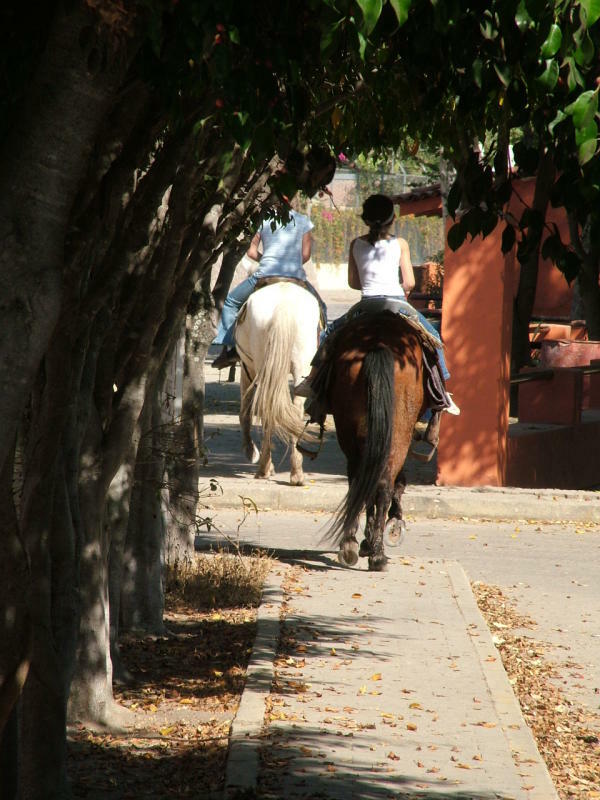 Also on Paseo Ramon Corona is located two estates of the late nineteenth century. 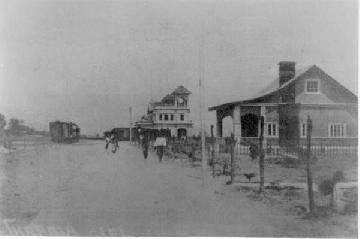 Opened in 1905, this building originally served as the Palmera Hotel. However, in 1937, it changed its name to the Nido Hotel. 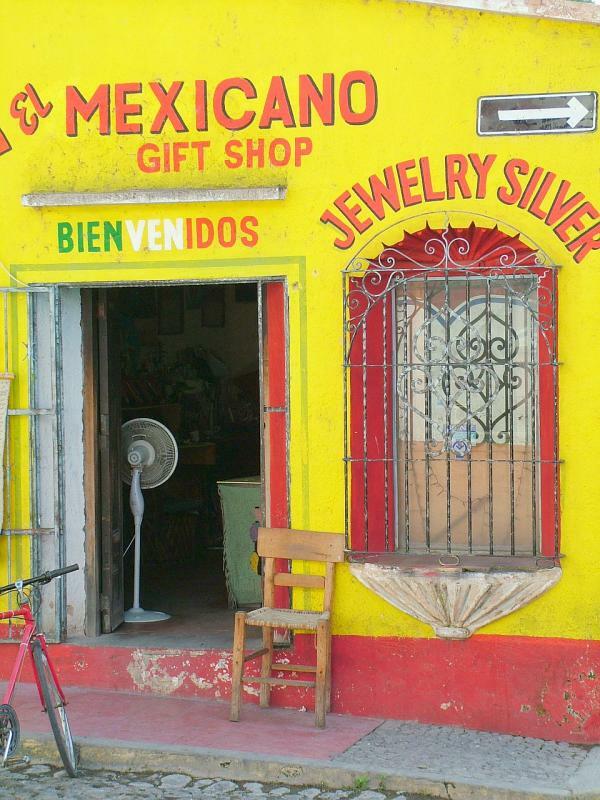 In 2001, it was acquired for public use of Chapala goverment. 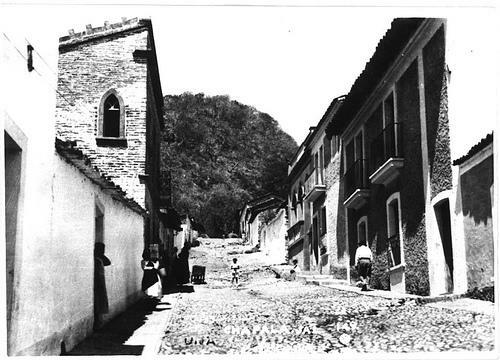 This is the street Lopez Cotilla at the main square, the background is the hill of San Francisco "El Cerrito de la Cruz" in Chapala. This area is the first point of attraction, inviting visitors to ponder and admire the lake, full of stories and anecdotes. 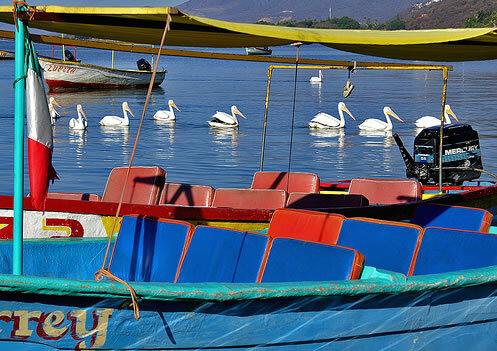 Walking along the shore while chatting and enjoying some charales (bite-sized, seasoned fish) or ice cream is the typical scene on any given day in Lake Chapala. 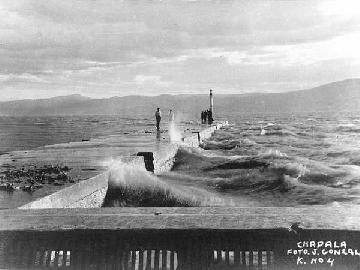 Lake Chapala at 110% of water level. Chapala means "place of small pots or Bucharest (Nahuatl)," very wet or soaked "(coca)", or place of grasshoppers on the water "(Nahuatl)". 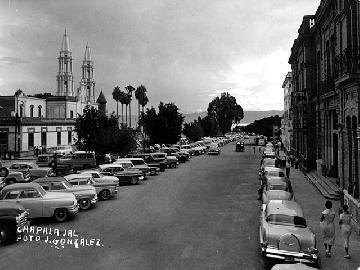 This was Av Madero in Chapala at around 1950, it has changed dramatically. A wave of immigration took place in the late nineteenth century with the arrival of people from abroad who are attracted by the beauty of the banks and the virtues of its climate, built the first estates "summer", which were slowly transforming the landscape of this "fishing village" as the Father Orozco mentioned when he came to this place in the late nineteenth century. This was the Cristiania street around 1930, it has changed dramatically. 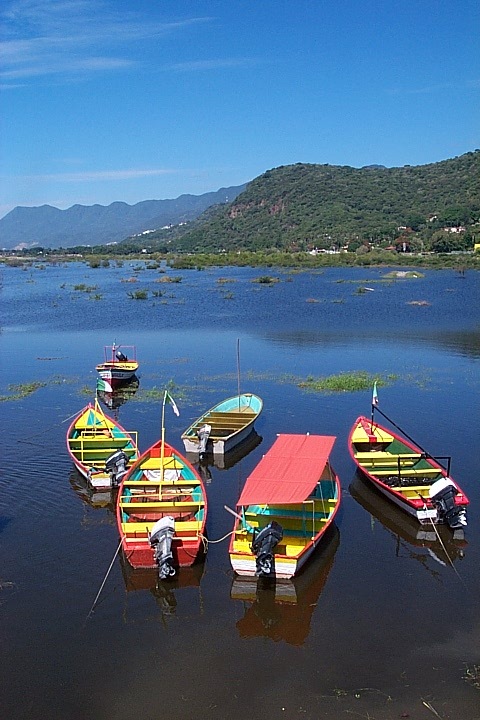 Chapala is designed by nature with a diversity of colors, beautiful landscapes and open spaces, allowing for both peace and adventure, Chapala is the most unique face of our state Jalisco. 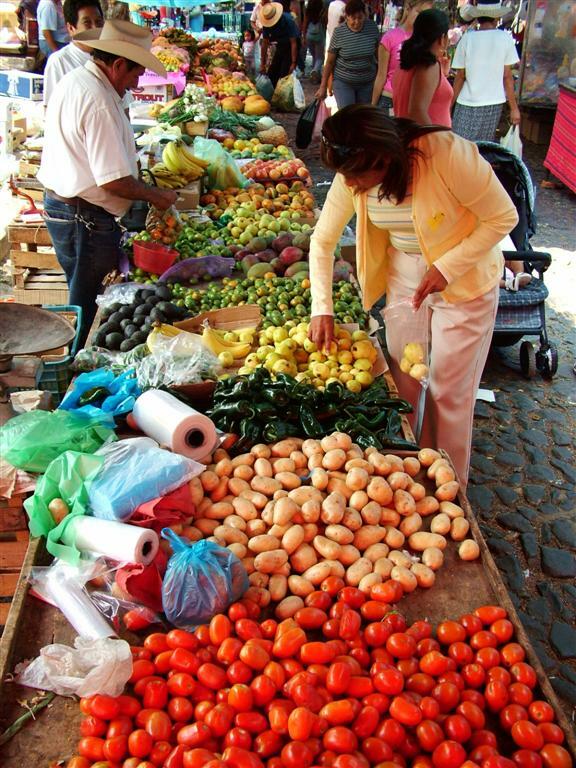 A beutiful lady in Lake Chapala, Jalisco Mexico. Several species of Chirostoma continue to dominate the fish community, but the harvest of marketable white fish has significantly diminished, from nearly 600 t in 1981 to less than 100 t in recent years. The introduced carp and tilapia are abundant. Carp through their foraging may contribute to sediment re-suspension. 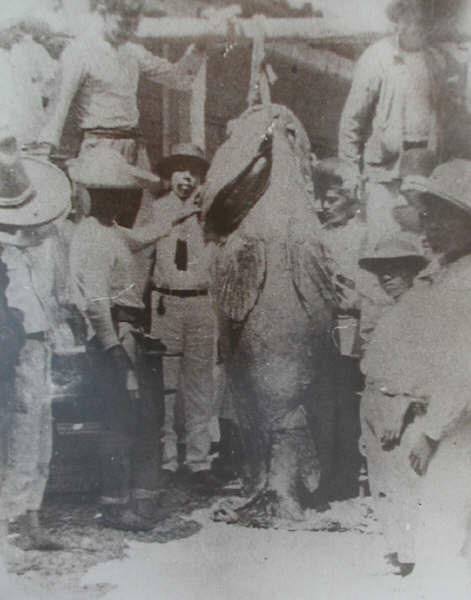 It is believed widely that the decline in fish catch is due to either overfishing and/or increased pollution. 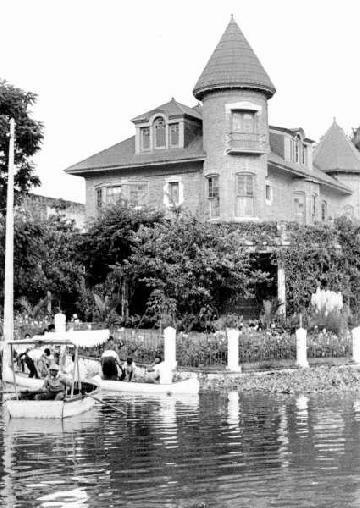 Alternatively, because the lake is now more light-limited because of re- suspensions of sediments, the fishery decline may be due to a decrease in phytoplankton production at the base of the food chain.